As a kid I always enjoyed my holiday breaks, but my family wasn’t the kind that went on vacation or did anything special. My parents worked like normal and I occupied myself during my days off. 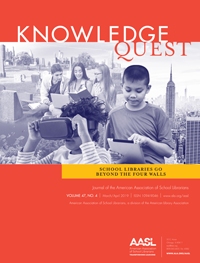 As a school librarian I always wanted to provide options for the kids that needed something to do when they were stuck at home. 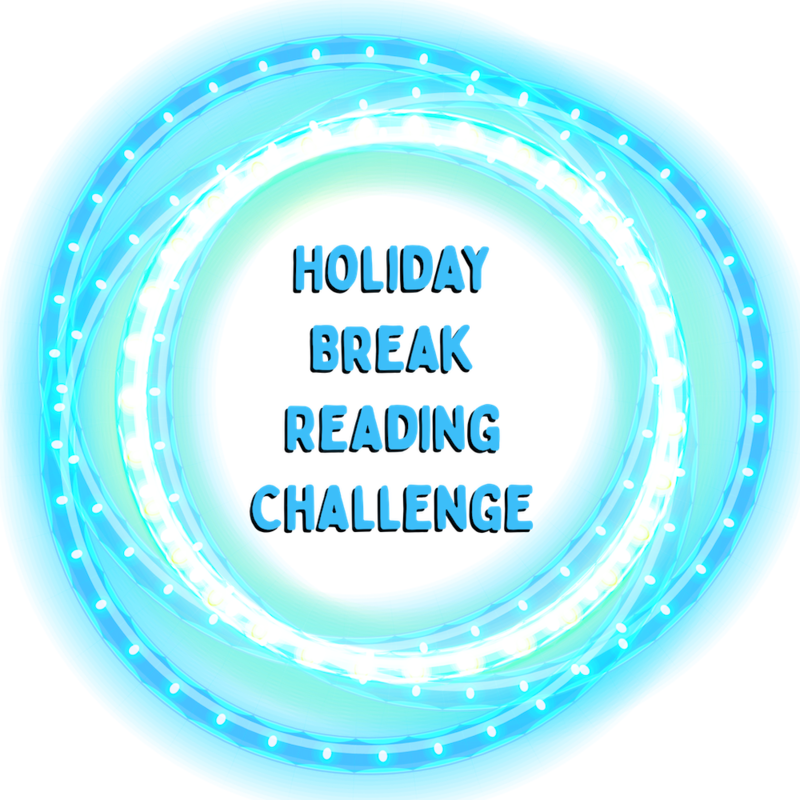 During the school breaks I put together a reading challenge. I listed an activity every day and the kids could choose to participate or not. It was totally voluntary. The students that did submit something were put into a drawing for a small prize. Every activity was a new chance for a prize. In this post I’m going to provide you with ten activities to share with your kids along with some graphics and trackers. 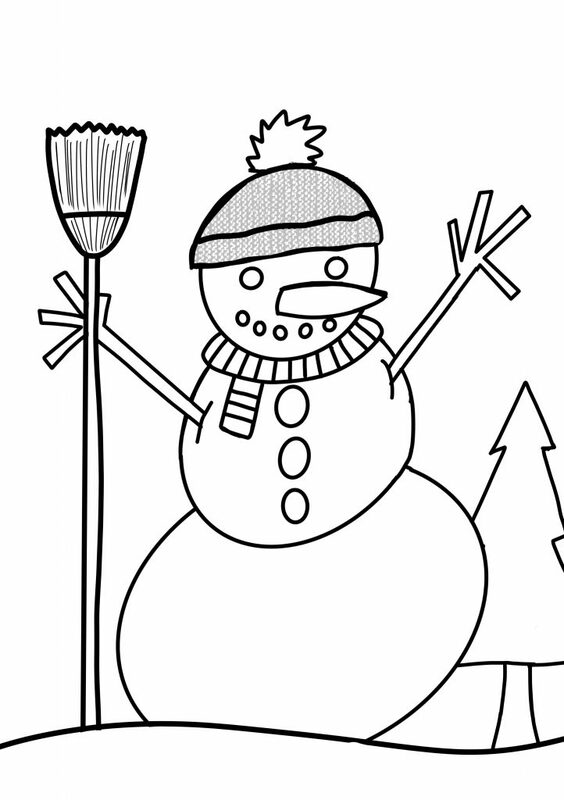 You can decide how to use them and in what order to have the kids complete the activities. Those that work with younger kids might need to use my activities as jumping off points and adapt them to meet the needs of the little ones. 3. Go to FlickrCC, Pics4Learning, or Photos for Class to search for you “title” term. If you don’t get one right away, try to get a different verb. Just be patient until you get a verb and picture that interest you. Type your “title” into the search box. The first photo that contains a person is your cover. 4. 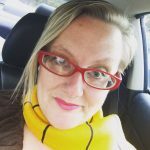 Use Canva or a similar site to put it all together. Be sure to crop and/or zoom in. 5. Write a short 1-2 sentence synopsis of your book. 6. Share your cover and synopsis. 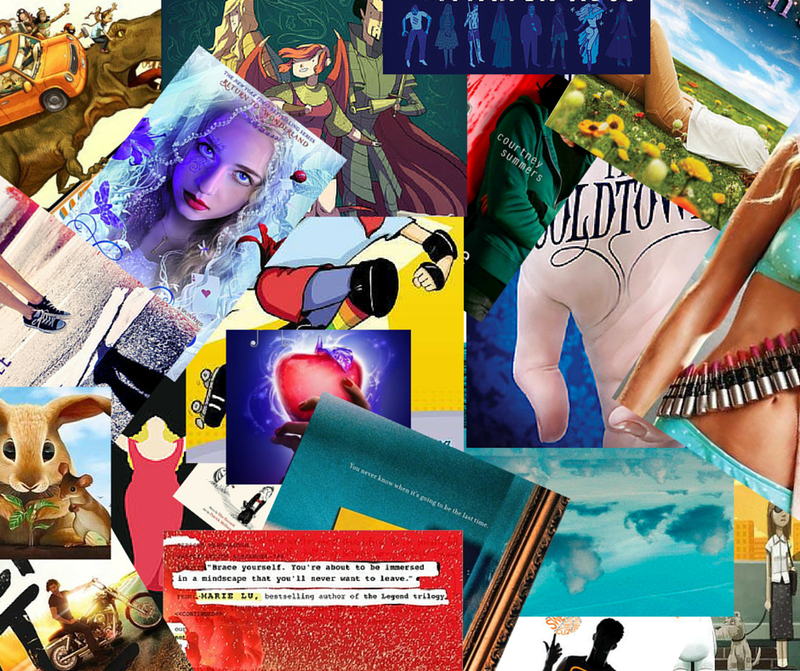 Create a collage of books covers. Make sure you remember which covers you use to create the key. Have the students submit their answers via a Google Form so you can get them easily. 1. Choose 3 or 4 books from your bookshelf that, when put together, form a sentence. 2. Take a picture of your poem/sentence. 3. Share your creation. If you can’t share a picture be sure to tell us the authors from the books you used. 1. Find a book title that fits in all of the following categories. If you read primarily young adult literature, then focus on young adult titles. If not, focus on adult. It doesn’t matter. 2. Be sure to list the author next to each title, just in case others want to read more about them. 3. Share you book titles. A book with a “profession” in its title. Examples might include The Book Thief, The Island of Dr. Moreau, The Historian. A book with a time of day in its title. Examples might include Twilight, Four Past Midnight, The Curious Incident of the Dog in the Night-Time. A book with a relative in its title. Examples might include Eight Cousins, My Father’s Dragon, The Daughter of Time. A book with a body part in its title. Examples might include The Bluest Eye, Bag of Bones, The Heart of Darkness. A book with a building in its title. Examples might include Uncle Tom’s Cabin, Little House on the Prairie, The Looming Tower. A book with a medical condition in its title. Examples might include Insomnia, Coma, The Plague. A book with a color in its title. Examples might include The Amber Spyglass, The Red Pony, Blue Blood. A book with an animal in its title. Examples might include The Hound of the Baskervilles, To Kill a Mockingbird, Julie of the Wolves. A book with a first name in its title. 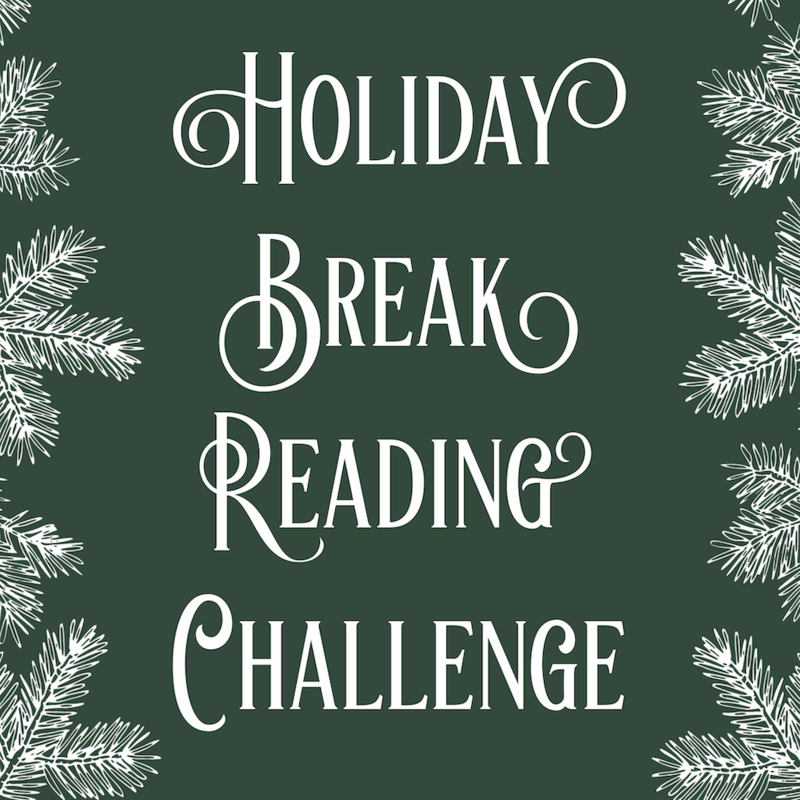 Examples might include Jane Eyre, the Harry Potter books, Anne of Green Gables. A book with a place in its title. Examples might include From Russia with Love, A Tree Grows in Brooklyn, Out of Africa. A book with a weather event in its title. Examples might include The Snows of Kilimanjaro, Red Storm Rising, Tornado Alley. A book with a plant in its title. 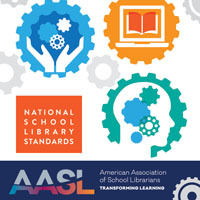 Examples might include Where the Red Fern Grows, The Name of the Rose, Flowers for Algernon. Create a collage using all the book covers from the books you read in 2018. You can do this any way you want. You can print out the book covers and cut and paste them on a poster board and take a picture of it. Or, you can do it all on the computer. OR, if you have all the books in your home you can just lay them out on the floor in a collage and take a picture of that. Whatever works for you. Get crackin’ and get creative! Create a bookmark based on a book or series that you love and think others should read. 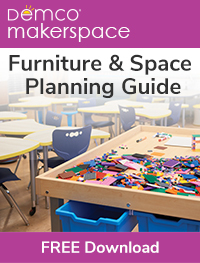 You can make one by hand or you can use the computer and make one electronically using one of the templates on the website at http://bit.ly/bookmarksrc. 1. Choose a book or book series. 2. Locate either the book reviews you’ve written or the publisher’s book descriptions for the book(s) you chose. 4. Click on CREATE your own. 5. Copy and paste the text of the reviews or synopses in the first box on the page. 7. Play with the font, layout, and color until you get a look you like. 8. Click on Save to Public Gallery at the bottom right of the page. 9. Fill out the information for the Title and click Save. 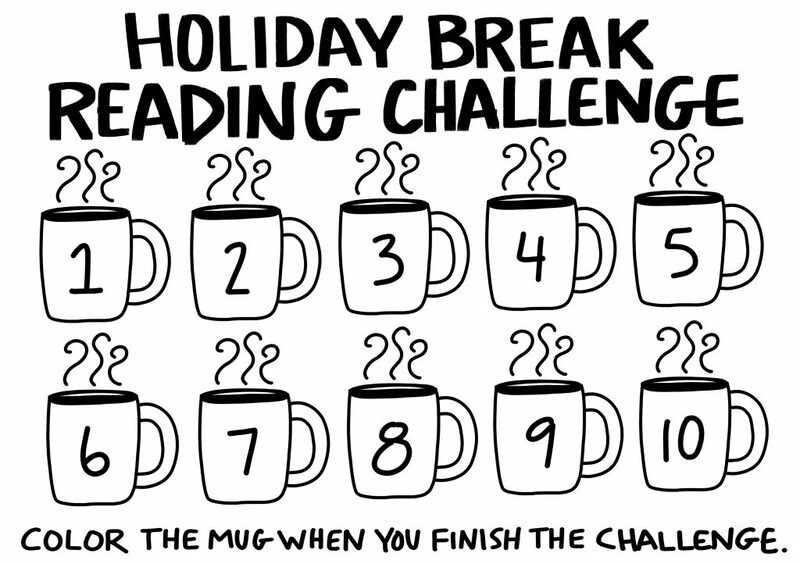 This activity involves you creating a Read-a-Like List. You can choose any topic/theme that you want and there isn’t any specific number of titles required. Just be sure there are enough so it can be considered a list. To help you can use this website: https://www.whatshouldireadnext.com/ or http://www.gnooks.com/faves.php. There are a lot of Read-a-Like posts on the Epic Reads website: https://www.epicreads.com/blog/category/lists/. 2. Make a list of important characters, events, quotes, feelings, etc. 3. On a piece of paper or electronic app, write the title and author. 4. Add hand-drawn images to represent the things you added your list. 6. Label the images as needed to help you and others make sense of your Sketchnote. 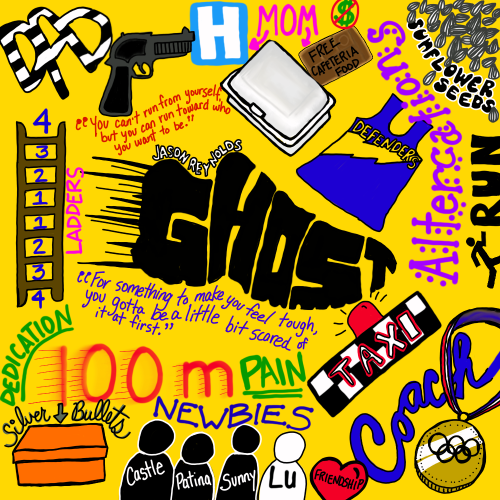 A sketchnote I created after reading GHOST by Jason Reynolds. 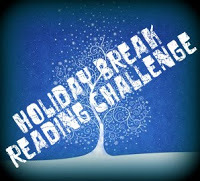 Here are three different graphics you can use to promote the Holiday Break Reading Challenge. Some kids love trackers. 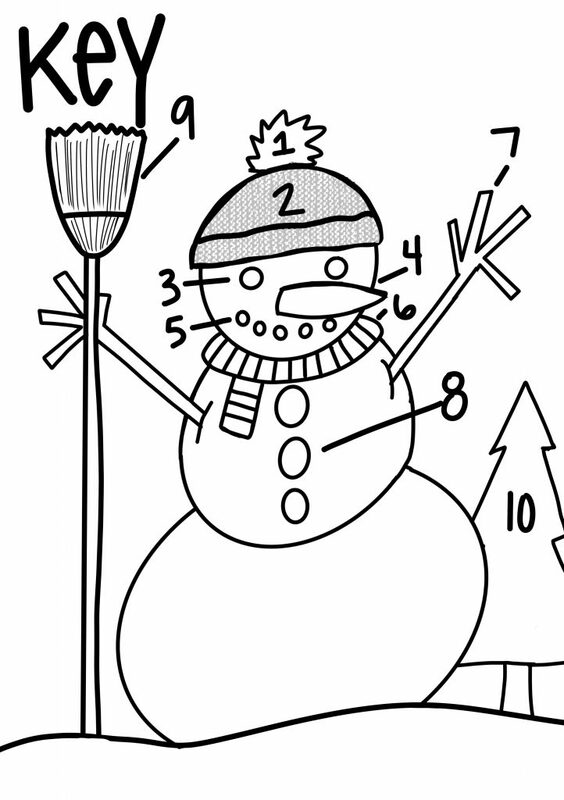 The snowman tracker has a key that tells what to color after which activity. 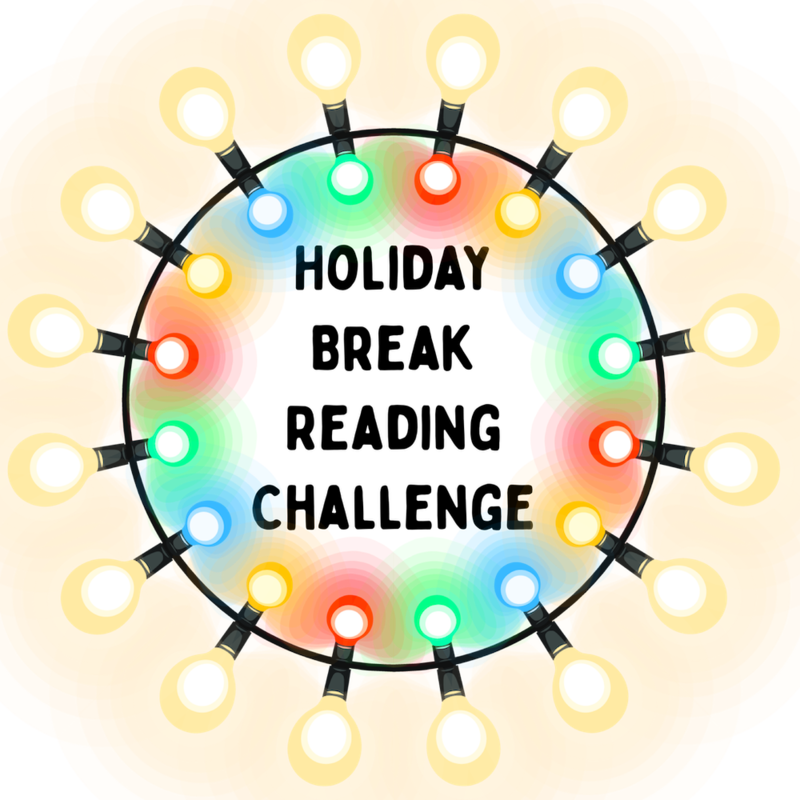 All of the graphics and trackers can be downloaded from this Dropbox link: http://bit.ly/holidaybreakrc. Enjoy your holiday break. Let me know if you have any other things that you do with kids during time off from school. I’d love to hear. I love this, thanks for the challenge Karin Perry! My pleasure, Hannah. It’s always a blast.